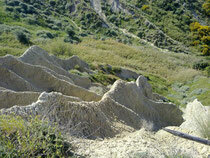 Regional Reserve of Montalbano Jonico Badlands - Benvenuti su ceaicalanchi! 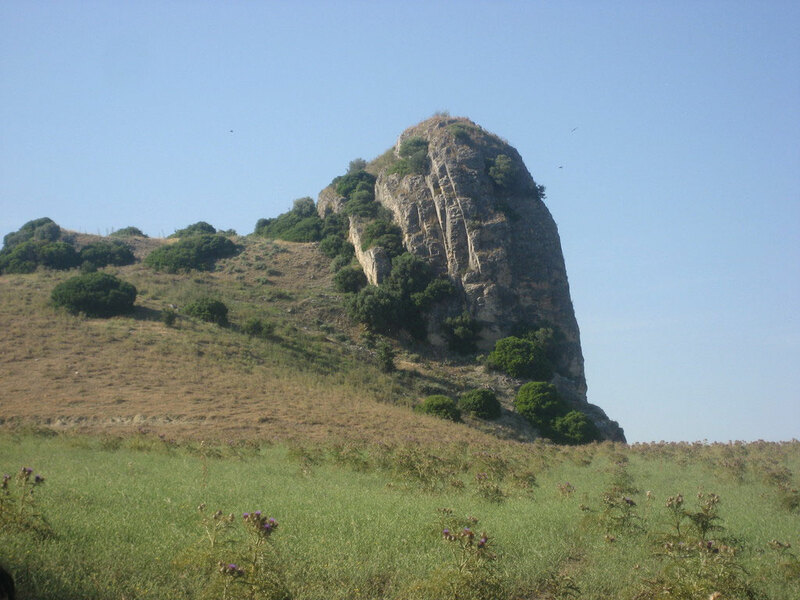 More than twenty years of studies carried out along the west side of the hill where the town of Montalbano Jonico is located, allowed to retrace in detail the history of the geological and environmental evolution of the Earth, which was characterized by significant climate changes during the Quaternary period, between 1.24 and 0.64 millions of years ago. 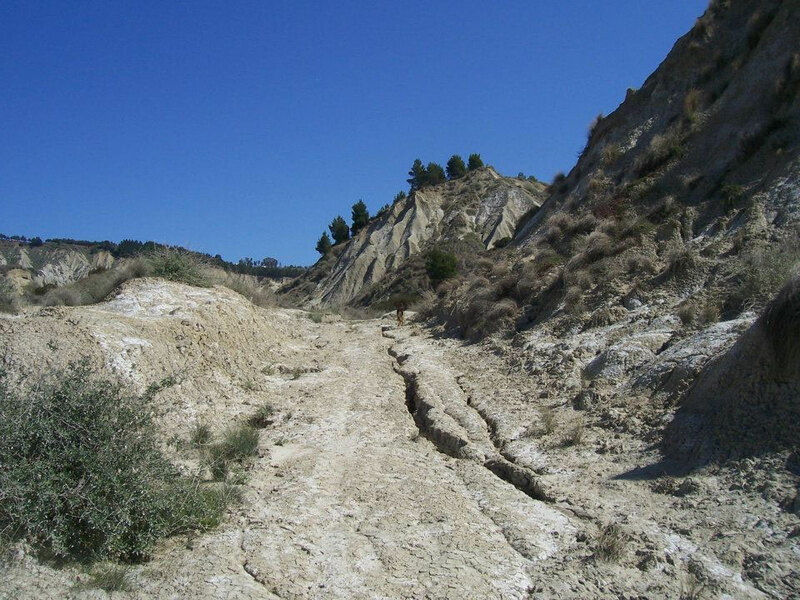 The results of the interdisciplinary researches allowed to reconstruct the Montalbano Jonico section, which has been proposed as reference section for the GSPP (Global Boundary Stratotype Section and Point ) of the lower-middle Pleistocene. This important natural area, which is characterized by several well-visible outcroppings of clayish sediments and rich of micro and macro fossil remains, constitutes an important scientific worldwide proof as well as an open-pit museum. With the aim of protecting this area, the region Basilicata established the Regional Special Natural Reserve of Montalbano Jonico “badlands”. 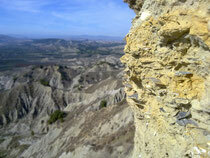 In addition to the peculiar geological and paleontological features, the area of Montalbano “badlands” also contain elements of unique landscape, environmental, archeological and cultural value. 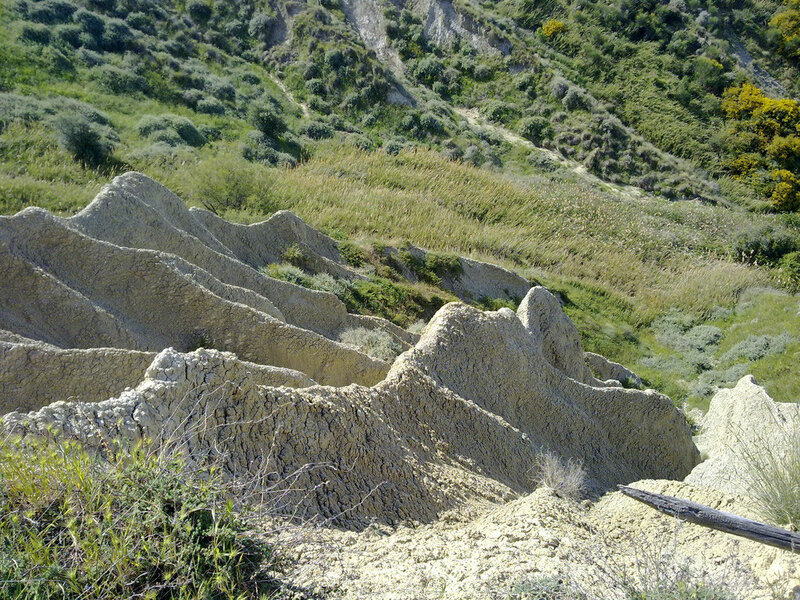 The deep engravings of the badlands, which develop as far as the cultivated fields which flank the valley of the Agri river, are surrounded by little woods of Mediterranean scrub, with pines and cypresses, and draw uncontaminated landscapes, among which the spectacular site of “Tempa Petrolla” stands out. 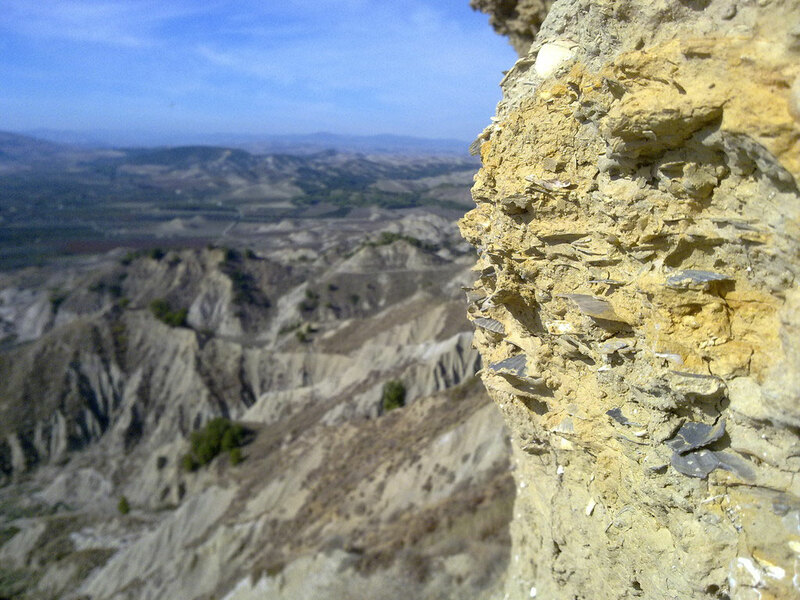 Although the environment of the badlands is characterized by steep clayish sides and climatic conditions with extended dry seasons, it has however a rich and complex flora and fauna; genuine botanical rarities are in fact present in the area, such as the “Canforata di Montpellier” which is also protected by the European Union. 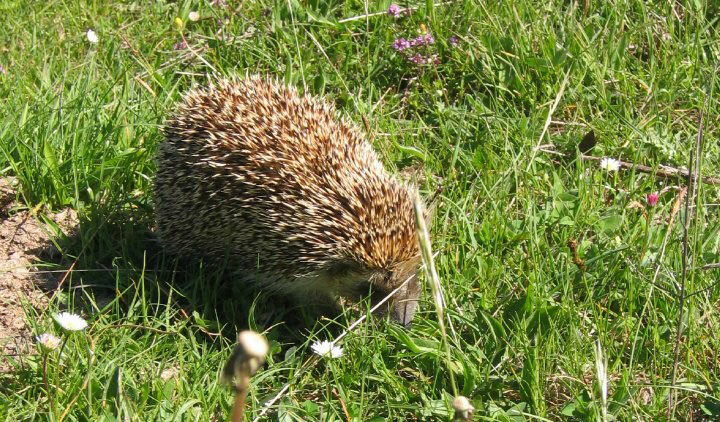 Many animal species populate the reserve: in particular, this area has been recognized by the European Union as I.B.A ( Important Bird Area ) because of the several species of birds pausing and reproducing in it. There are several paths and tracks in the badlands of Montalbano which can be comfortably walked through by the tourists. Among them it is worth to remember the ancient mule tracks (in dialect they are called “appiett”), which connected the cultivated fields along by the river Agri ( the so called “Giardini” ) with the center of the town or to the ancient ways of transhumance.